The Art Theatre originally opened in 1925 as a single screen silent movie house, complete with an orchestra pit, and pipe organ. 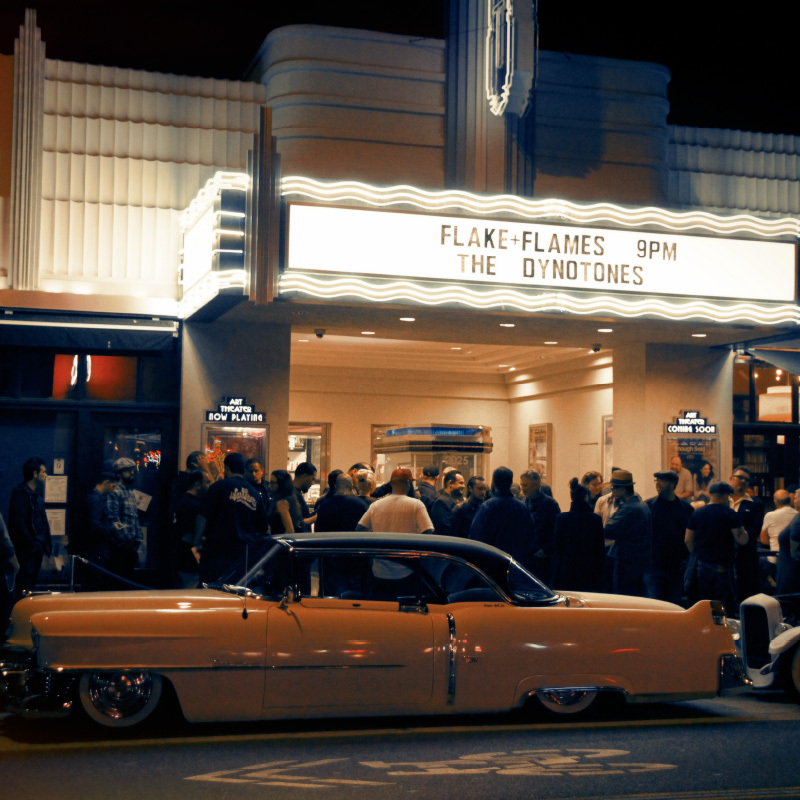 At that time, there were over 50 independent theaters in Long Beach, today only the Art remains. The Art Theatre originally opened in 1925 as a single screen silent movie house, complete with an orchestra pit, and pipe organ. 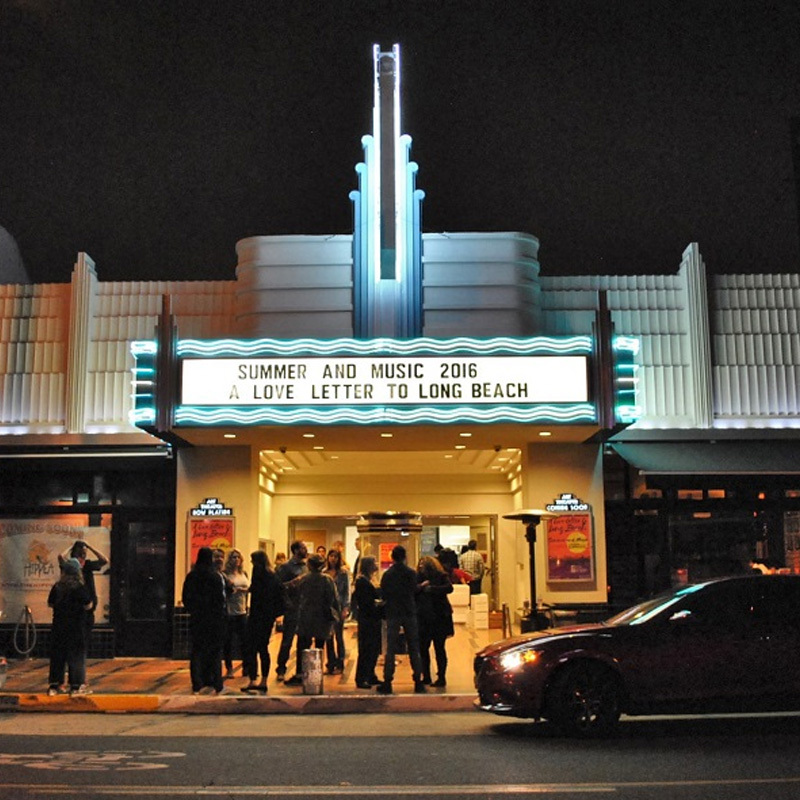 At that time, there were over 50 independent theatres in Long Beach, today only the Art remains. After the quake of 1933, the façade of the theatre was recreated in an art deco, streamline modern style. As years passed the theatre continued to undergo change as the world around it evolved. 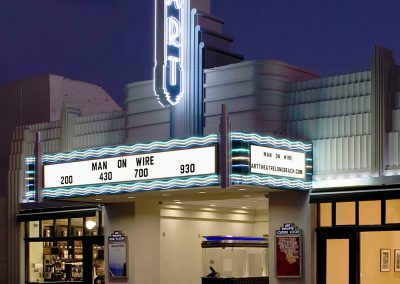 In 2008, a group of local investors purchased the theatre and completely remodeled it based on the 1933 blueprints. 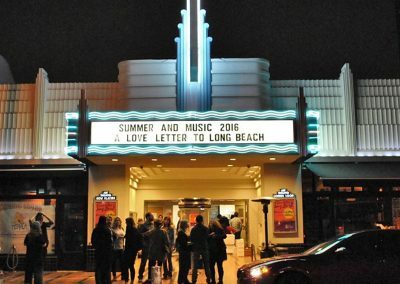 Since, the Art has once again become the center of Long Beach cinema, showing both first run and small independent films in a beautiful historic setting. 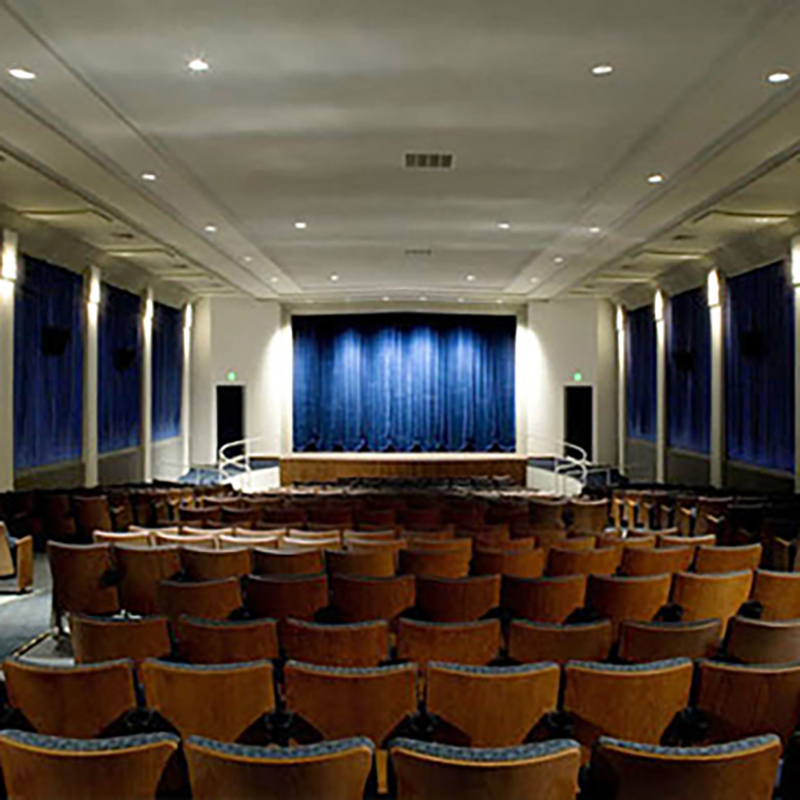 Originally opened as The Carter Theatre, with 636 seats, an orchestra pit and pipe organ. It was constructed in a vernacular style with “orientalizing” touches reminiscent of Grauman’s Chinese Theatre in Hollywood. Two storefronts flanked the theatre. 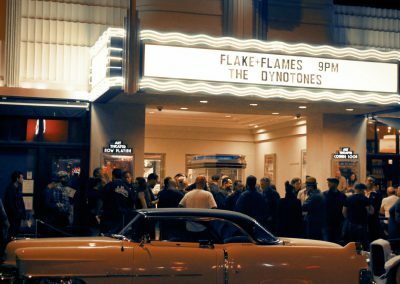 Remodeled in art deco streamline moderne style by Schilling & Schilling after the 1933 Long Beach earthquake and renamed The Lee Theatre. Additions included the ticket booth, terrazzo floor and zigzag elements like the stepped piers, vertical fluting, and the central-stepped vertical tower. 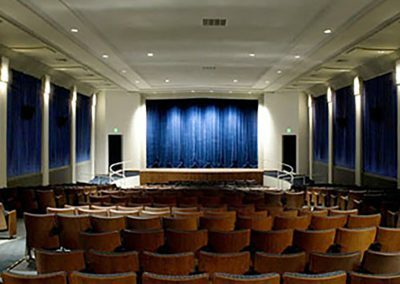 Remodeled again with a mid-century design, and renamed The Art Theatre. Complete with a new marquee, remodeled bathrooms and lobby interior with decorative glass block. Re-envisioned to the original Art Deco style using the original blueprints from 1933. 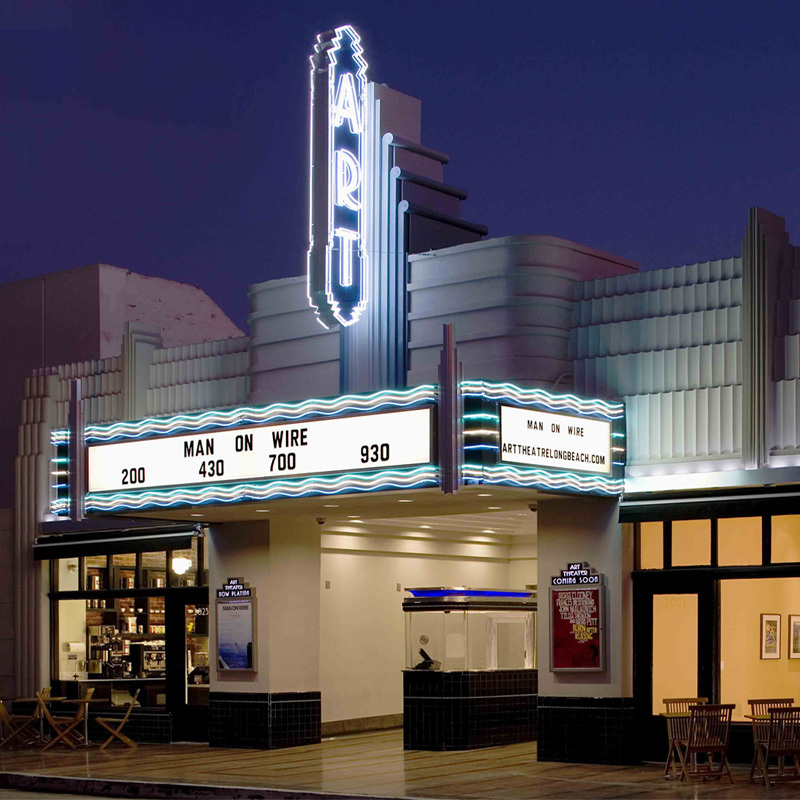 Complete with new interior, new sound and projection upgrades, restored exterior including a replica of the 1934 marquee and Art Deco trademark symmetrical storefronts.